Think something to forget the fact that it’s hot… I guess that one of old people’s wisdom to enjoy a long hot summer. Today, I would like to write about our traditional summer night entertainment, hanabi… Yes, firework!! There are many famous firework venues in Japan, but if you come to Japan, you will see that almost every town has got one or more firework involved festivals ranging from very small resident led ones to very popular ones with designers firework display. They are mostly for residents of each town to enjoy evening after the burning sun sets. Among all firework venues, I found an article about the largest firework event in Tokyo, River Sumida firework festival. 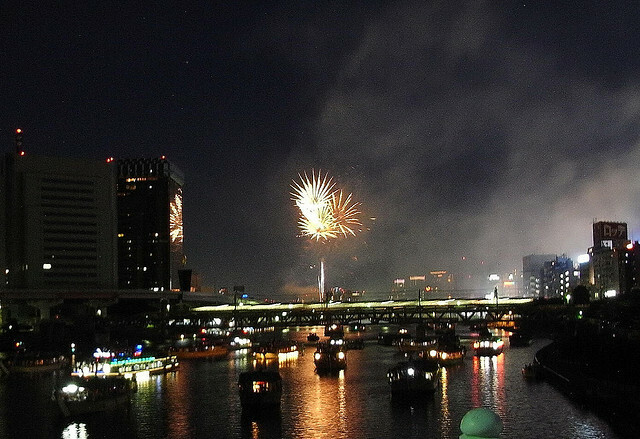 According to an article, River Sumida firework festival was first introduced as a festival marking the start of river swimming season in Ryogoku, and it had been called so until 1961. 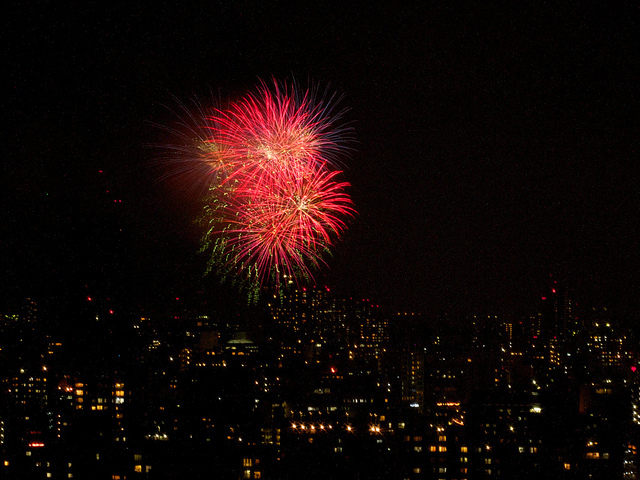 It was in fact from 1978 when it started being called as River Sumida firework festival. Although these two events are called differently, both events involve fireworks, and Yoshimune Tokugawa, the 8th shogun of Edo period enjoyed fireworks with his pet elephant! !